Obtaining “white hat” SEO links is really only in part about the link itself. It’s also about serving the audience and community of the site that links to you … and real relationships. People should link to you because you have earned the link, not because you bought or bartered for it. It is our opinion that link building is less about the number of links and more about the number of linking domains from within your industry. Quality over quantity always. Our list of 50 ways to get quality SEO backlinks is different from other link-building-idea lists in one important way. We stay focused on how you can add value for your ultimate audience through your website. Then, with a little extra effort, you can get a link from other sites serving that same audience. When it boils down to it, links are about relationships. The business you run may be of service to another business and its audience. Think about link building first in terms of building a library of helpful content resources to link to. Then think about people in your network that could use the resources you have to offer. It can be as simple as asking another business if a link on their site to yours might benefit their audience. Example: A music website might have a great collection of music and articles on a particular singer or band. Form relationships with the artist’s fan clubs. Some may accept articles, and some will simply link to your great content. This would be a relevant link, and a win-win. Fan clubs love free information for their audience. As another note here, if they just mention your site, maybe asking for a link to be added to that mention will make it more useful for you both. Since a big part of links is relationships, think about who you know. Who in your industry would benefit from knowing about your website content and sharing it with their readers? Some bloggers like to link out and some do not. Some will gladly curate and some need to write for themselves. Some are influencers and some are not. Choose what is most appropriate for your content, and work with the bloggers as best fits your industry and content. Forge relationships with those people. Face time could be an important part of this. Do you attend the same industry events? Send a note ahead of time and plan to meet there. A few minutes over a drink or coffee could pay dividends for your content and link-building efforts. 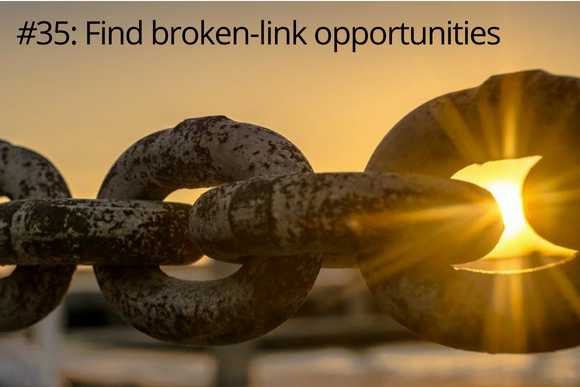 Think of your current business network as a gold mine for getting links. However, depending on the industry you’re in, you want to tread lightly when asking for a link. A mere mention of the content you’re working on that might be a fit for their audience could work. Example: If you publish a research report, even a competitor’s audience would appreciate reading it. This type of content is almost always attractive to others in your space. And remember, never compensate anyone in your industry — even if they are influencers and you’d really like the link. This is against Google’s guidelines. Your audience will be more likely to share your content if it helps expand their audience reach. What would make your audience want to share your content with their audience? An example is a newspaper journalist. When trying to get in front of the journalist, your content should be less about what things they (the journalists) like and more about what their readers like. This approach (what their readers like to read) is very powerful. You might be surprised at which sites are linking to your site. Do the research. Find the relevant domains that link to your site, and forge a relationship. If they have a quality site that’s relevant to your industry, stay in touch with them. This is especially important if they are well connected and/or the site’s owner is an influencer within your industry. They might need guest bloggers, and you could potentially offer useful content to their audience. In your author biography, you can also include a link to your site. Recently I visited our Bruce Clay India office. The team took the opportunity to run a contest in which private consulting time with me was the prize. The content generated a lot of mentions and shares, drawing attention to Bruce Clay India and the contest page itself. If you do something like this, your website might receive links from your social media followers (see No. 28 for why social links/mentions matter) and from your colleagues’ blogs and websites. 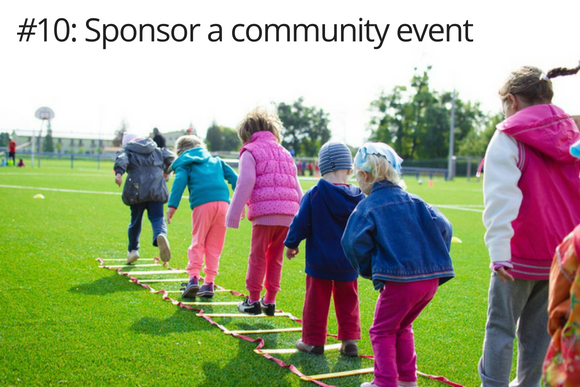 Think of ways you can enrich your local community with an event. Example: You might host a business luncheon in the community to divulge some of your business-success secrets. Then, tell people about your “mini-conference” through an events page. You will get some links to the page (and maybe some clients as well). Once the event has passed, consider doing a 301 redirect from that event’s page to your main events landing page. Your business is part of a local community. Being listed in directories, like the Better Business Bureau (BBB) and Chamber of Commerce, secures a link. Local listings also help your potential customers find and learn more about you. And if you’re in good standing with organizations like the BBB, it can lend credibility as well. Also, is there a significant attraction in your area (such as a local kids camp) that gets a lot of links? Sponsor them and get a link on their website (see No. 10 for more). If you speak at community or industry events, offer something useful for your audience to download after the talk. Provide a link to the resource and encourage them to share. Example: You may have the results of an informal survey, an ebook, or some other content on your website that would be helpful to the audience in some way. Create a shortened link that they can remember (for example, a Bit.ly link) and drive traffic to the page. They may, in turn, share it with others. Do you want to make an impact on your community? Sponsorships can do that and get your name out. Moreover, you can obtain links to your website from the organization you’re sponsoring, as well. Think local softball teams, not-for-profit activities (like a beach cleanup), school scholarship funds and so on. Write content that references an opinion of someone in the Top 10 in your industry. You may not even need to interview them. You can draw upon previous statements they made elsewhere (with attribution). Identify the influencers in your industry who tend to either link to articles mentioning them on their site or share such posts on social media. These are the ideal targets. Write case studies that your audience can learn from. You could identify major blunders that were turned around. Or hot breaking news stories (that involve terrible losses or even massive wins). This idea ties well into the “unicorn” approach we will discuss in No. 14. Example: In the digital marketing community, a popular journalist who wrote a lot about Google for many years ended up joining Google as an employee. Also remember that, similar to the nightly news, “dirty laundry” types of headlines are always read and quoted with links (narrative on society omitted). Having a blog is one of the basic tenets of attracting links. After all, the content you’re blogging about focuses on your business and brand. While a blog is essential to your SEO, it doesn’t stop there. Blogs that tend to do best express strong opinions about matters in their industry, things that their clients care about and so on. That doesn’t mean every post is controversial. Every now and then, plan to tackle a topic that matters to your industry or business with gusto. Example: Say you have a casino in Las Vegas. Every so often, you might tackle the topic of gambling safely, or express an opinion on the changing regulations you face. “Unicorn” content is any article that strikes a community’s chord. You’ll know a unicorn article by the high level of traffic, comments, shares and backlinks it generates. You’ll want to latch on to a unicorn. For example, take note of what your competitor’s unicorns are, and write your own unique content on that same topic. A unicorn article stands out from the competition, meaning it’s better than other articles on the topic. Take best advantage of each of your unicorns. Publicize them well within the community. This content should ideally be published on your website. If you publish this type of content on a third-party website, include embedded links to your site. This includes useful “find-out-more-on-the-topic”-type content (in moderation). One approach similar to this is creating “skyscraper content.” This is similar to unicorn work, except it’s on the level of an entire website. Find a great website, mimic it, do it better, add engagement, then see if links to that other site can be switched to links to your site instead (see No. 34 for more on this). Do you have a handful of similar landing pages on your website that garner a lot of traffic and links? Assume you have two great pages, one page on how to choose the right microscope for your job, and the other page on how to choose a microscope for your specific needs. You should consider combining the content from those two landing pages and 301 redirecting the page(s) to the chosen URL. The popularity of those landing pages now combined gives you one powerful webpage that reaps the benefit of aggregate traffic and links. See: https://www.google.com/search?q=how+to+do+a+301+redirect. If you’re short on money for public relations, you can take matters into your own hands. HARO (Help a Reporter Out) connects you with reporters who are looking for subject matter experts in your field. If you get interviewed for a story that will run on the web, it’s likely you’ll get a link to your website when you are cited. Creating quality content these days means citing credible sources. One way that bloggers like to cite sources is through interviews. Find out who the writers and bloggers are in your industry, and become top of mind for them. Engage with their content online. Add value by commenting or resharing, and you’ll start to build a relationship. Ask them what they’re working on, and let them know you’re available to offer quotes or interviews on “X” topics whenever they might need it. This will almost always guarantee a link to your website when you’re cited in the article. A great way to attract links and traffic to an article is to interview experts yourself. People like to be recognized for their expertise, and every expert has their own audience. The people you interview will usually share and link to the article on your website. Part of building your business into a brand involves thought leadership. You do indeed have a specialization and unique insights. Share those with your audience on your website to help them do something or understand a topic better. This act of creating unique, quality, educational content benefits your website’s search engine optimization, too. Google wants to feature high quality webpages in its search results, and its ranking algorithm is designed to find them. As part of a low-key, educational approach to sales, webinars are great. People love free training. You can embed the recorded webinar on a webpage with the transcript. This engaging content can drive traffic and links. Consider partnering with someone in your industry who has a large audience. You can tackle different aspects of a topic together, and you’ll benefit from the partner’s wide reach. Creating standout content that people want to link to and share takes time. Put your journalist hat on and take a deep dive into a topic to create a long-form webpage. 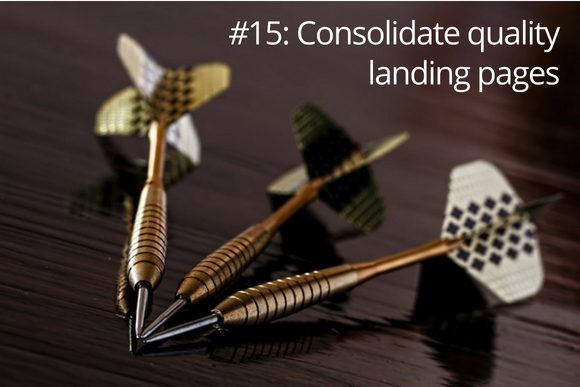 Consider topics that have burning questions in your industry, or timely topics as well. A whitepaper is a great way to demonstrate your expertise. Use them to show you’re aware of the challenges facing your clients and can offer solutions. Example: Maybe you are selling a revolutionary new cleaning system. In a whitepaper, you could show how it is more cost-effective and friendlier to the environment than other systems. You can use this content asset to gather emails in exchange for the download. Aside from gathering email addresses for drip email campaigns, whitepapers can rank on their own merit. A useful whitepaper also gathers links. Graphics are big wins in the link world. People like easy-to-digest visuals, and if you do it right, these can spread like wildfire. One example is an infographic that shows trends in an industry, like the types of jobs available, their salaries, employment rates and so on. To facilitate a link, make it easy for people to share by offering a link for attribution, and add your logo or company name to the image. Make sure that you take the same care creating visuals as you would with text content. That means everything is fact-checked and quality. YouTube is the second largest search engine, aside from Google’s web search engine. In all cases, the power of a video link is massive and it must be a priority. You can create a video, host it on YouTube, for example, and then offer a link for more information from the video that leads viewers to a page on your website. Example: Let’s say you have a style-focused YouTube channel. You might create a video reviewing a new beauty product and include a link to a full review on your site within the video. That would let people learn more (and even buy the product with your affiliate link attached). Consider putting your useful content in front of podcast creators. They, in turn, may mention that content in one of their episodes as a resource on the topic. Example: Say there’s a podcast that tackles psychology issues, and you have an ebook on overcoming anxiety. A mention of the tips in your ebook on a podcast is like a verbal testimonial. It could carry a lot of weight with listeners and lead to people visiting your site and linking to your content. Create useful tools that people can access on your site. Example: Here on BruceClay.com, we offer some of our popular tools for free, integrated into our SEO Tutorial. Use the tool’s name as the anchor text for the link when you link to the tools yourself. Obtaining a link from Wikipedia does not pass link juice since all their links are nofollow. However, it CAN give your site a huge boost in traffic, and probably expert status. Since the community at large maintains Wikipedia, obtaining a link may not be too difficult if you are truly worthy. Example: Say you are a thought leader when it comes to software development. You might identify Wikipedia articles that talk about your involvement in software development. Or your thought leadership content could be a reference. But be aware that Wikipedia frowns on self-promotion. Editors will likely reject any links that you try to insert on behalf of you or your business. Worse yet, if you are too persistent about adding links to your site, your website can be added to a spam list. The key is in your approach. Focus on adding value with content, not links. For more information, read Wikipedia’s general guidelines for links. Online mentions (such as in social media or reviews) are important, too. They help search engines determine that people have an interest in what a brand is about. Social mentions may not generate valuable links to a site. However, social mentions signal to the search engine how people are talking about a brand. Example: Pizza Franchise-A may be mentioned more often and more favorably than Pizza Franchise-B. People just love to take quizzes, and that engagement is an important step. Create a quiz that you can run on social media, where a click to the webpage for the right answer gains traffic. And as they finish your quiz, be sure to give them social icons to easily share your quiz with others. If it is fun, then word may spread and links can be generated. Links from spammy sites can harm your website. Keep this in mind as you’re link building. If your link profile has a fair amount of these types of links (think “Viagra”), it’s risky business. Google devalues these types of links in general (so no value to your site) and in some cases, penalizes them. For getting listed online, think geography-specific directories that would be relevant to your business. Add your business link there. Examples: YellowPages.com or Angie’s List, to name just a couple. In many cases, this may also include the BBB (remember No. 8 on this list), but there are many others you should consider. An SEO vendor or a consultant that is savvy in link building will have all the tools and data needed to decide if your backlink profile needs cleaning up. This will point you in the right direction on what to do next. Link analysis from Google Search Console link reports. Link analysis utilizing our proprietary tools. A merger or acquisition has the potential to give you some great (or bad) links. Suppose there’s an opportunity to purchase a competing and popular website in your same industry. If you buy it, then you will have the option to either consolidate the sites, thus combining links, or generate new link prospects from having an additional site. Tip: We highly advise SEO services such as a link audit as part of your due diligence when acquiring a new domain (see No. 32). Find out the quality sites that are linking to your competition and try to hijack those links. This is not as nefarious as it sounds, especially if your resource on a given topic surpasses the competitor’s page. Contact the webmaster and ask them to consider your page as a more relevant source for their readers. Hijacking links is fair competition. When your competitor has websites linking to them but the competitor’s page returns a 404 error, it creates an opportunity for you. Example: Let’s say your competitor had an article on how to create a custom wood table, step-by-step, but it has been moved. Now that page looks broken to visitors. You are a furniture maker who has a great article on this (or you can whip one up). Contact the webmaster and offer them a better link — to your relevant webpage — instead. Also remember to keep your links updated so that this doesn’t happen to you. Without changing your URLs, you can replace old content with newer, more relevant content. That way, any links to the existing page still benefit the site. Example: If you have a page on Ford Mustangs with data from 2017, you might replace the content with the current year’s data. Do this each year. A 404 “not found” error occurs when a user reaches a page URL that doesn’t exist. As we mentioned in No. 35 on this list, this creates a bad user experience. A 404 error is especially problematic if the broken page has a lot of inbound links. Just as you can find dead links to competitors and “hijack” them, your competitors can do the same to you. Routinely run reports to identify any 404s. Then 301 redirect each 404 URL to its most relevant equivalent live page (if the page returning a 404 truly no longer exists). In the interim, create a custom 404 page that can direct users to helpful content. This is recommended in Google’s guidelines. Another reason to address 404s and have good content is to raise the quality of your site. This is an indirect link-building technique. The publishers of quality websites and the people in charge of building links for those websites will not link to a site that is not maintained. A low-quality website cannot be considered a link-worthy subject matter expert. Again, the reason is user experience. If your website has been hit with a penalty, sometimes the best option is to cut the junk. We call this link pruning, and it’s something we offer with our penalty assessment services at Bruce Clay, Inc.
PageRank cannot transfer from an old site to a new site until you can get the old pages re-crawled by the engines. To facilitate that, submit the old URLs to Google and Bing via an XML Sitemap file (see Google’s recommendations on this). The PageRank will transfer in a matter of days instead of months. Sometimes a link to your website appears on every page of a site. For example, your website development company might put a footer link on your site such as “Created by XYZ” that points to their homepage. These links might seem helpful, but they do not send much traffic — and search engines may view them as spam. Run-of-site links can look like an ad. If the links pass PageRank (i.e., they are followed), they may look like paid links. It’s not natural to link from every page to some third-party site. There is no reason to have an excessive number of links from a third-party site unless it is an actual ad (and nofollowed). We believe that it is the number of linking domains and not the number of links that has a high correlation to ranking. Choose wisely and get very few “right” links, so you do not look like spam. In recent years, Google representatives have said that no PageRank is lost for any 3XX redirects (301, 302, etc.). However, all redirects come with risk, and this risk can get larger if you have more than one redirect in place for a page. Any given page may naturally experience a redirect in the case of a site redesign (or two or three) over the years. Here’s some basic information on how to properly implement a 301 redirect. Once you obtain links, the next concern of link building should be to make the most of the link juice you receive. You can magnify the PageRank flow of those incoming links by using siloing — a hierarchy structure of your URLs and content through linking. For example, you might have a page that answers a common FAQ in your industry. But that landing page should also have a call to action that keeps that visitor engaged within your site, pointing to a relevant page on the same topic. The term siloing originated as a way to identify the concept of grouping related information into distinct sections within a website. Much like the chapters in a book, a silo represents a group of themed or subject-specific content on your site. The reason this grouping is such a high SEO priority is that search engines award “keyword” relevancy within their index based on the page and then the rest of the site with the most supporting relevant content. Well ranked websites are founded upon the concept that a website should physically be organized like a doctoral dissertation. A dissertation has a clearly identified title, abstract, table of contents, then content laid out to reinforce the overall theme of the dissertation as a whole, all with references and footnotes supporting the subject. Quora is an example of a Q&A website that has nofollowed links. But the trust of those links is high, and you control the number of mentions based upon the number of answers you provide as the expert. Another option is a forum. This is only good for industry credibility, and certainly not for links for search engines. Unfortunately, a forum is generally a place where someone that does not know the answer gets answers from others that do not know the answer. Therefore, carefully look at the audience and the quality of the answers before joining a forum. One of the best ways to become an expert in Google’s eyes is to create content that demonstrates your expertise and authority (Google PDF). The better you do this, the more you become perceived as an expert. Once you start ranking for search queries time and time again, you will naturally be the site that people reference in their links. While you may not have much control over what ratings and reviews say, they do send links to your site. Expanding on that thought, think about industry review sites that you can get to review your site or business. Are there local award contests? Does your local newspaper do a “top places to work” or a fastest-growing list? All of these reviews can generate business and possibly links, especially if they come from a trusted resource. What is your strategy for gathering testimonial reviews from your audience? Reach out to happy connections on a regular basis and ask for a testimonial on their website with a link to your home page. There is much debate about reciprocal links (aka I link to you and you link to me back). The bottom line is that if you are linking between similar and relevant websites, it may not be a bad thing. Think of it as adding value to one another’s website. Example: If you are a real estate agent, you might have a community resources page of helpful businesses in the area, such as local lawyers. By extension, one of those lawyers may also have a resource page or a blog article about helpful resources for their audience, like real estate agents. Websites that have linked to your website previously might link again. Is there another page on your website they might also be interested in linking to? Reach out and propose something. Remember, there is not really an “under the radar” approach that works for link building, certainly not for long. Google has years of fighting link spam; there’s likely nothing they haven’t seen before. Can you do it and Google won’t catch you? Maybe. But if a competitor catches you and reports you to Google, then you are toast. Notice that we did not include some common myths about links such as commenting on others’ posts or even guest posts. These tactics make the other website the expert while giving you less fame and traffic than if you ranked yourself for that content. Always avoid thin content sites (e.g., short pages) or sites where each page has many outbound links, especially if the linked-to sites are of poor quality. Assume that this rule applies to each of the techniques in this list. Invest in what we refer to as a “strategic link analysis report” that talks about the linking opportunities, the risks and the estimated implementation costs. As part of your link building, these insights should balance the links’ SEO value with the traffic value with the contribution to expertise, authority and trust (refer to No. 45). Finalize SEO campaign keywords. Variety is absolutely needed since building too many links with the same anchor text may be seen as spam. Select the keyword, select the landing page (new or updated) and then select the top-linking sites that you want a link from. Research and finalize SEO campaign content. It could be a blog post, an image, an infographic, a video or something else, but it needs to be created before you embark on link building. Be sure to publicize the new content as appropriate. Manage your existing link inventory and link prune the bad links while retaining the best links. Go slowly, make sure links are relevant and on topic, and prefer respected sites as link acquisition targets. For even more, see our post 35 Creative White Hat Link Earning Ideas. Want to receive more resources like this one? Subscribe to our blog! Quality Content Begins with Quality Research. Period. Thanks Bruce. How do you balance things like “evergreen content” with up to date news/ research? Awesome article, Bruce. I like your idea of Evergreen URLs. I’ve also found that to be effective when developing content strategies. This is an eyeopener. a lot of valid pints about SEO. And these are really effective tips. Which will help people into avoiding black hats and choose white hats instead. The backlink is one of the most challenging aspects of SEO. Off-page SEO, specifically Backlinks is one of the best ways to improve your search rankings. If you want to rank your website then you can follow this article. Thanks, admin for sharing with us. Great collection of white hat link building methods – thanks Bruce! Wow! Thanks for the article, Bruce! This has been an insightful read. I’ve seen some points that sound so simple yet when I think about it people rarely do it. It seems that the familiar isn’t necessarily known. It’s really an eye-opener. People sometimes don’t even try the most obvious solutions and I’m one of those. All points are explained very well. Thanks for the sharing this article. 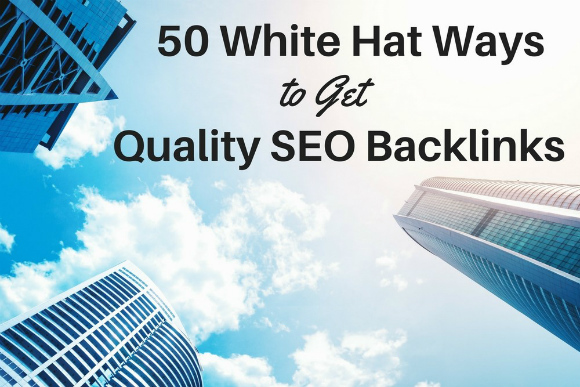 It is better to use a white hat strategy for SEO as black hat hurt your site when time comes to worst…great lists of ways to get quality backlinks! post answers on Q/A websites. Thanks, Bruce for this write-up. Backlinks are the backbone of SEO. It is very important to get high-quality backlinks rather than a low-quality one. All the 50 methods you have mentioned are worth trying. I just love the way you have put all the link building tips here in the article. As gone are those days, when we used to perform activities like the directory, bookmarking and article submissions and spamming all over the internet. These days an SEO expert or a link builder has to be smart enough to get a backlink naturally. And each and every link building strategy discussed above are the only ways to get links naturally. Thanks, Bruce for sharing this blog. thanks for sharing such an informative and worthy info. This is very useful since we know that a white hat is a kind of seo service tactic that can help promote a site. We wouldn’t want to enter and do the black hat that would be harmful to the risk of your client and you yourself. This is indeed very helpful for obtaining high quality backlinks. Thanks for posting this! yes link building is very effective for seo i agree with you.i like your ideas..that all are interesting and useful ideas… thanks for sharing this post..!!!! Desmond: You said, “If a link provides a value it may be useful to acquire it… even if it costs money…” but you left out the important part — that the purchased link must be identified as such. At the very least, you would need to apply a rel=”nofollow” attribute to communicate to search engines that this link should not pass link juice. It seems that a lot of people lump purchased links into “Blackhat” without accessing the link quality. I don’t think this is the best approach to take. If a link provides a value it may be useful to acquire it… even if it costs money… after all, isn’t that exactly what an advertisement is. It is a great idea that you’ve shared this important information regarding quality backlink. I will share this blog on my website. It has helped me in ranking my website, as I am an SEO Executive, I am liable to work for the rankings of the website thus it is on us that we work for the website. I am thankful for your blog as it provided me the useful piece of knowledge, it is like a step upwards on a ladder. This is the real and proper way to get a quality backlink. Every way you describe here is very useful for all of us. This is your hard work to make such a good post about backlink. Many ideas even I don’t know before I reading this post. Awesome rundown! I love the point about “writing for your audience’s audience”. Most underrated hot tip in here. This is a very detailed guide, thanks! Thanks a lot for sharing this post. Building high quality links is very important for SEO. This list shows the ways by which you can get high quality links. How about blog commenting? Still work? Thanks for the article. A great resource which I’ll share with the team and our clients. This is the best article I have come across for white hat SEO link building. I totally agree with you. You said that “quality over quantity” is always matters. The list is very informative. Thank you. We use many of these at Damteq. Very helpful article indeed! That’s a massive, actionable list. Too many people look for shortcuts. They forget that you can get quality links with white hat approach. Helpful article you posted, I would appreciate for this valuable post. Thanks for sharing informative article with us. Shefali, that’s great to hear. Thanks for reading and letting us know! I don’t know how I landed here but honestly, I just want to thank you bruceclay for sharing these tips. The quality of backlinks is really important for building the trust of your website. I have been applying few of these tips but I will definitely try the rest of them and will let you know how it worked. Bruce! Thank You so much for this indispensable blog, Its worth reading. Requesting you to share your valuable views. Wow! I didn’t know there are so many white hat methods of creating backlinks to improve your SEO rankings. Thanks for sharing. I have bookmarked this article and now will apply all the ways of getting different types of backlinks for my SEO client. Great resource and guide page. This has become our month’s go-to article on what strategy to implement in our projects. Without a doubt, white hat backlinks can be big difference makers thought it would take you some time to see the outcome. And now that I’m here, I feel like I have come to the right place. Those who are aware of the importance of quality over quality understand the risk of black hat SEO. Some good quality content right here! A perfect guide to White Hat SEO with great ideas. Keep posting more! Hi Bruce. This is by far, the most comprehensive list out there. White Hat techniques require extra effort, but they are a surefire way for a successful campaign. Thanks for the amazing post. I just think that’s it’s hard to do in some niches, especially those which aren’t informational. Thanks for the great article, love your practical approach! Rating and Reviews are very helpful in local SEO and so many people just ignore it. A very helpful article, Bruce! The tips you have provided are really good for Beginners as well as experts. Great article to get high quality backlinks. Brad: Thanks! We’ve always considered “knowledge sharing” to be part of our mission. We’re glad you found our site and are sharing it, too. Hey Bruce…love the article! Lots of great ideas to add to my repertoire. It takes more of an effort and a little ingenuity to gather Google trusted back links, and every little idea helps. You have a great site and I will be back, and I look forward to sharing some of your resources with my users. Very useful guidelines on how to get quality backlinks. Thanks for sharing it. Thanks for this. What about contextual guest posting, non paid way, will that be fine in the eyes of Google ? As in the startup journey of my business i was struggling for getting back-links, your guide really helped me in getting clear idea about how to get quality backlinks for my website. Great post and well detailed! Yes, I totally agree with you that Link building is the backbone of SEO, and without having high-quality backlinks, you won’t be getting organic traffic. So, if you want organic traffic with high-quality backlinks, then you have to generate white hat backlinks which are very effective and helpful to you. As there are so many techniques to generate white hat backlinks, but according to me, guest blogging is the most important and effective technique of white hat backlinks. Thanks for sharing this awesome post with us. I really appreciate your efforts. keep up the good work…. I love the idea of creating a unicorn/ skyscraper content, it’s an interesting perspective and backs up the fact that content is everything and that the quality content has great chances of taking you far! Thanks Bruce! Bruce, I think this is the best list I’ve ever read. Things like “Approach Colleagues Gently” and ““Do Not Do” List: Buying Links” work so great in the long run. Thanks for sharing your ideas! Great article to get high quality backlinks. Way cool! Some very valid points! about quality SEO links I appreciate you penning this article and also the rest of the site is really good.